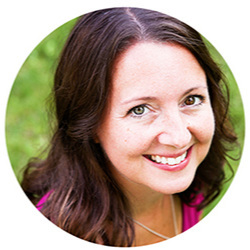 Loaded Breakfast Wraps Recipe — Pip and Ebby - easy, delicious recipes! A great way to enjoy the most important meal of the day: BREAKFAST! 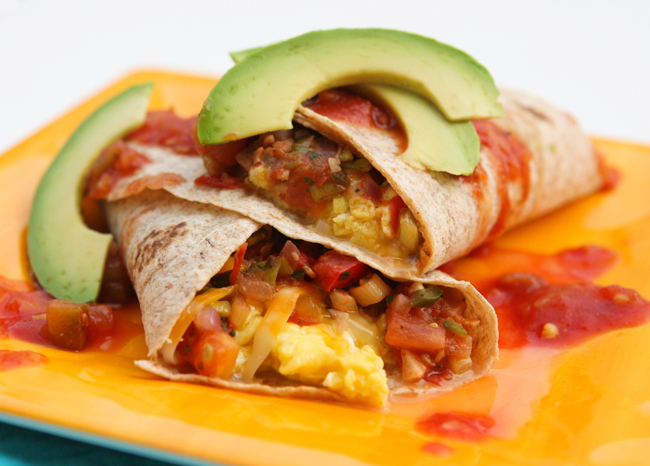 This wrap is loaded with delicious breakfast foods.. eggs and salsa and cheese, oh my! This recipe is very fitting this week, you know, containing scrambled eggs and all. Because my brain feels scrambled. I am struggling to even write this post tonight. I want bed. Badly. The only thing I want more than bed is one of these wraps, followed by bed. I am headed toward my comfy pillows shortly, friends. Have I ever told you that I sleep with four pillows? Mmmm...pillows. I also LOVED this wrap and I hope you all enjoy it, as well! It gave Dan and me very happy bellies. Here are some of our other favorite breakfasts: Fried Egg and Tomato Breakfast Stack, Easy Eggs and Veggies and Sausage Veggie Skillet! Cook, stirring, for an additional 3 to 5 minutes. Heat a small skillet over medium heat. Add 4 beaten eggs and cook, stirring occasionally, until eggs are scrambled. Remove from the heat and add 1/2 cup shredded cheddar cheese. Stir until the cheese is melted. Roll into a wrap and cut in half. Top with avocado slices and enjoy! One of my favorite ways to enjoy breakfast. Heat olive oil in medium skillet over medium heat. Add green onions, garlic, jalapenos, red onions, cilantro, salt and pepper. Cook, stirring occasionally, for 3 to 5 minutes, or until veggies are softened. 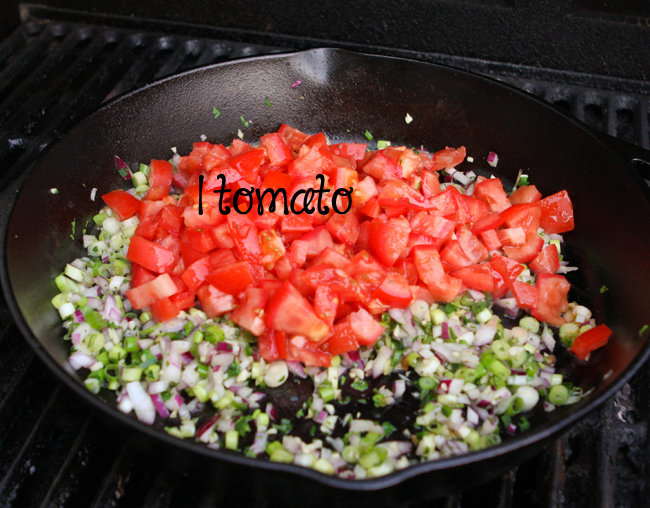 Add the tomato and cook for an additional 3 to 5 minutes. Heat a small skillet over medium heat. Add the beaten eggs and cook, stirring occasionally, until eggs are scrambled. Remove from heat and add the shredded cheddar cheese. Stir until cheese is melted. Place tortillas on seperate plates. Top each with half of the eggs and half of the onion-pepper mixture. Roll into a wrap and cut in half. Top with avocado slices.